Serie A giants Inter Milan and Lazio are prepared to compete for the signature of Matteo Darmian from Manchester United during the winter transfer window. The Italian was strongly tipped to make way from Old Trafford during the summer but a move failed to materialise with Jose Mourinho blocking his departure. 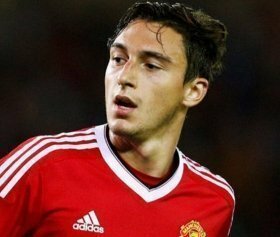 However, with Mourinho no longer at the helm, Darmian's future has once more become uncertain and it is suggested that he could leave United as early as next month, Calciomercato claims. United have previously quoted a fee of £20m for the former Torino man but they may consider lowering their asking price next month in order to push through his departure. The Mancunian giants may thereafter use the recouped funds as part of their approach to sign a new centre-back, which surely remains their priority for the winter transfer window. United are currently on a three-match winning run in the Premier League but they are still eight points behind Chelsea, who are holding the final Champions League qualification position.